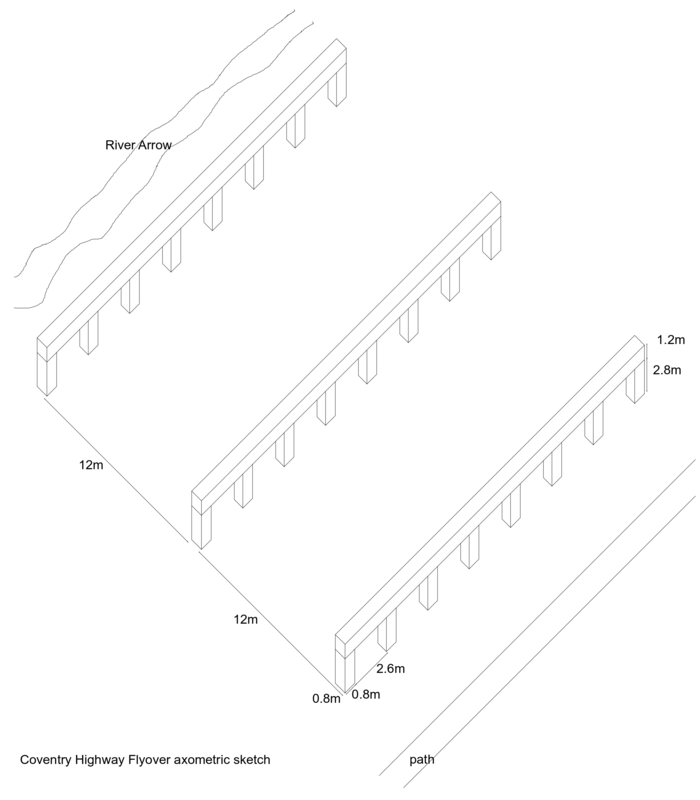 A video installation that will transform the concrete columns of a road underpass. The work will explore connections between the 18th century needle industry and the New Town construction of the 1960’s: an exciting multi-faceted artwork about manufacture, human effort and exploitation of the land. 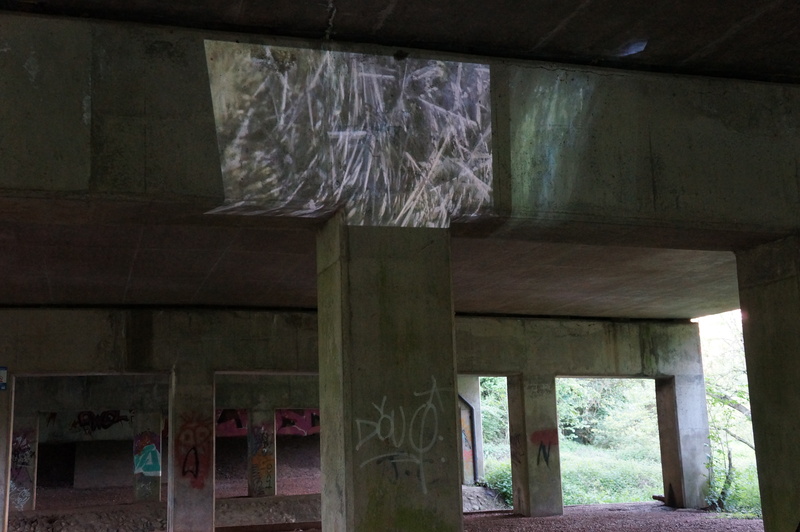 We propose to turn the underpass into a dynamic mechanical space with video projections combining video segments of the machinery of Forge Mill Needle Museum and people working with needles. The industrial needle making machines contrasting with the rhythms of hand sewing and walking across the land. We would project onto the structures of the concrete pillars, columns of constant movement echoing the traffic overhead and the river below. We tried a test on site. The test videos can be seen following the links below.